284 pages | 31 B/W Illus. 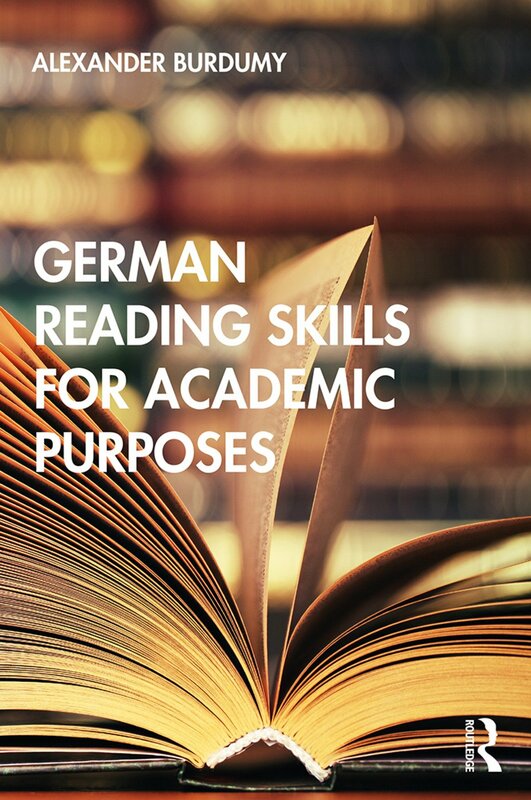 German Reading Skills for Academic Purposes allows researchers and learners with no prior understanding of German to gain an understanding of written German at CEFR C2/ACTFL Intermediate-High level that will allow them to read a variety of German texts, including research articles and monographs. This is achieved by looking closely at the elements of German grammar required for the understanding of written German along with practical advice and observations. One of the main themes running through the textbook is that it uses a toolkit approach that puts deductive reasoning and decoding skills at heart to allow learners to engage with a wide variety of texts. Alexander Burdumy is Assistant Professor of German at the University of Durham, UK.